Vehicle tracking is one of the most cutting edge advancements in the logistics industry. For many drivers on the road, vehicle tracking only extends as far as GPS – your TomTom or your smartphone telling you how to get from A to B without having to break out the A to Z. However, anyone working in the logistics industry will be able to tell you that vehicle tracking is so much more than that. GPS and GPRS have both gone a long way towards helping the logistics industry evolve, outfitting the industry with the technology it needs to meet the demands of the modern era. 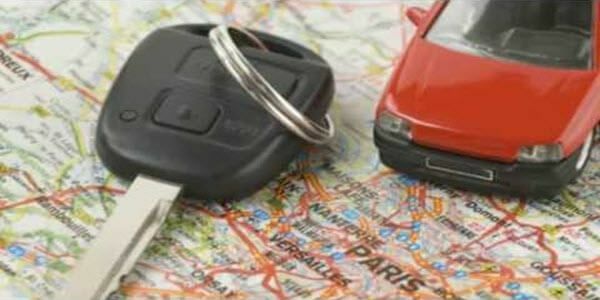 First and foremost, the primary use of vehicle tracking will always be tracking where your vehicles are on the map. For a company whose lifeblood is their fleet of vehicles, knowing where your vehicles are is vital to the success of your business. This doesn’t just extend as far as knowing whether or not your third driver has made his fourth delivery yet, it lets you know where your vehicle is should it get stolen, too. When it comes to knowing where your vehicles are at the drop of a hat, the importance cannot be overstated. Your success as a business depends on your flexibility as a company. If your fleet is locked into a rigid pattern the moment it leaves the depot, you’re working in the wrong decade. The latest vehicle tracking technology doesn’t just give you a one-way view of where your vehicles have got to – they allow you to have a two-way conversation with your fleet. Do you need one of your vehicles to take a detour to pick up a package? Reprogram their Satnav for them and let them know that they’re going out of their way slightly. Do you need to cancel a delivery at the last minute for whatever reason? Reprogram their route for them and let them know that they’re going to be back at the depot sooner than expected. Logistics is all about organisation – vehicle tracking enables the highest levels of organisation. Some parts of the business cost more than others – fuel, for example, isn’t cheap. If you need a way of differentiating between work-related fuel expenses and the cost of your staff using work vehicles to take the kids to the park, vehicle tracking can do this. If you’re looking for ways to help your company go green, vehicle tracking can do this too – older vehicles tend to be less efficient, using up more fuel than you would like. Certain drivers may have bad habits which cost you more fuel than you would like. With the right vehicle tracking solutions you can track all of this information, using it to work out which parts of the business are costing you the most money. You can help you drivers plan better routes, you can help your drivers improve their fuel economy, and you can help your business grow as a result. The best part of this system is the fact that the processes generating this data is entirely automated. Unlike 10 or 20 years ago when drivers had to return to the depot to fill out paperwork which would in-turn be passed onto management to take care of, the right vehicle tracking solutions will take care of all your paperwork for you. This means that your managers have less paperwork to fill out, and more time to do more work. Likewise, your drivers can spend less time worrying about the exact mileage that the roadworks and detours added to their route – that time is better spent letting your drivers fit one more delivery into the day. If you want the optimum level of efficiency from your workforce, you need to equip them with the technology allowing them to work at maximum efficiency. Finally we have the impact that your vehicle tracking has on the consumer. Other than the fact that fitting more deliveries into the day helps the consumer get their products quicker, there are several ways that vehicle tacking can help bolster your customer connectivity. When you think about it, what do you want as a consumer? You want to feel looked after and you want to feel like you’re being kept in the loop. You don’t want your items to be delivered by a company which doesn’t look like it knows what it’s doing, that doesn’t take care of you or your deliveries. Vehicle tracking on your fleet allows you to keep the customer up to date on what’s going on. With the right solution you can even update the consumer on the exact ETA of their delivery. This means no more waiting around from 9-6 for a delivery that may not arrive – this means that your consumer can take an hour off work, go home and sign for a delivery which arrives on time, and head back to the office. The unparalleled convenience that this offers will encourage the consumer to actively choose your company in the future when given the choice. If you want repeat custom, this is one way to get it.